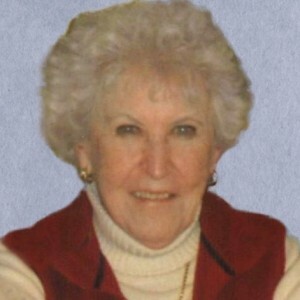 Mary G. Van Veen, age 88, passed away May 9, 2018 at the Compassionate Care Hospice in Wilmington, DE. Mary was born in the winter of 1930 in West Chester, PA to the late George and Rita Gleason. She was the fifth of their seven children. Mary attended St. Agnes School and graduated in 1948. After graduation, she worked from 1948 to 1956 for the phone company in West Chester and later in Wilmington. From 1977 to 1995, Mary was the office manager for agent Charles P. Gooding. In 1956, Mary married Joseph Van Veen. Joe and Mary shared 60 years of marriage. They had four children. Mary is survived by her sons, Joseph and his wife, Nancy of Hockessin, DE, Patrick of West Grove, PA; daughter, Rita of Wilmington, DE; granddaughter, Sarah of Hockessin, DE; brother, William Gleason and his wife, Dolores of West Chester, PA; one lifelong friend and sister-in-law, Jean Van Veen of Glen Mills, PA; and many nieces and nephews. Mary was preceded in death by her husband, Joseph and daughter, Marybeth. Mary liked reading, taking walks and the company of her exercise class at Hillcrest United Methodist Church. Mostly, Mary enjoyed the company of others, especially family. There was nothing she enjoyed more than huge family gatherings. She was very devoted to her entire family and will be remembered as a strong, caring and loving person. A Mass of Christian Burial will be offered at St. Agnes Catholic Church, 233 W. Gay Street, West Chester, PA 19380 on Friday, May 25, 2018 at 11am, where friends may visit with the family from 10am to 11am. Burial will follow in St. Agnes Cemetery. In lieu of flowers, contributions may be made in Mary’s name to Compassionate Care Hospice, 701 N. Clayton Street, Wilmington, DE 19805; or Operation Smile, Gift Processing Center, PO Box 5017, Hagerstown, MD 21741-9716. I’ve known Mary and her husband Joe over the past 55years as a loving ; she as always a welcoming warmhearted individual, Joe Sr was too . Her son Joe and I were best of friends in our childhood years growing up in the same neighborhood , attending the same schools, and celebrating our birthdays only a day apart. Mrs. Van Veen, as we celled her, treated my brothers and I as part of her family, always taking an interest in our well being . We spent many Saturdays playing games or watching TV at their home in Edgemoor Gardens. She and her son Joe stayed in touth with us over the years after I moved to Florida ; most recently I would see their family on their vacations to Siesta Key, Florida. I have many fond memories of her . She was part mother and saint to us, quite a lady. Joe, I’m so sorry to hear of your loss and I pray you’ll feel God’s comfort thoughout this difficult time. We are so sorry to hear about Mrs. Van Veen. I will always remember her dedication to her “precious Joe”. She was always a welcome visitor at Arden Courts, the staff, the families and the residents all loved her. Please know we are thinking of all of you. Mary was a wonderful aunt, full of sparkle and life. In more than sixty-five years, I never received an unkind word from her. And I am no angel! She was kind and supportive and fun. She was passionate about the people and causes she cared about and a straight talker always. She was full of love. She loved her family and friends, and her family and friends loved her. They could count on her. She made her world a happier place. David and I are grateful for her faithful prayers. We will miss her, even as we trust that she is with God and the family who went before her. God bless you and keep you, darling. We will always love you. Mary was my beloved aunt, when I was young. After my mother passed while I was still a teen, Mary became my beloved Mom. She had an enormous breadth of love. She loved me and others with compassion, prayers, and the truth. I knew whenever we chatted – and we did frequently, that she knew how to be gently candid. She honored being the truth and being true to herself. Even in her photo, you can see how beautiful and loving are her eyes. When my daughters were young, she took them under her wing and they would sometimes vacation at our house during the summer. She had a great heart and very willingly played the same childhood games repeatedly – even as a great grandmother. When I was very young I remember Mary and her beloved sister taking me and my sister up to West Chester to treat us to a milkshake, a book, or a pretty outfit. She always knew when a grilled cheese and one of Joe’s delicious tomatoes sandwich were just the right lunch with a glass of iced tea. I still turn to the phone to call her. It was such a regular ritual in my life. She leaves a void that can not be filled. I send blessings to Joe, Pat, and Rita. I know one day I will see her again in heaven.